Volumetric Labware, including Volumetric Flasks, Volumetric Pipettes, Graduated Cylinders, Transport Racks, Serological Pipettes, Stir Bars, Stir Bar Retrievers and Stirring Rods, Syringes and Beakers are all available here at Pipette.com. Check out our full range of Volumetric Labware by scrolling down below. Click on each Volumetric Labware item to find out more about the features and benefits of each. Below are some of the key Volumetric Labware products we would like to put a spotlight on. 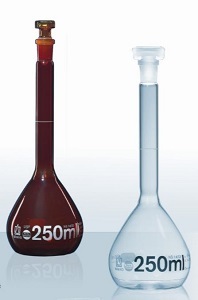 Volumetric flasks are often used in a variety of experiments requiring different materials or styles. Hirschmann Class A Volumetric Flasks are designed in a variety of different models that each meet a different experimental requirement, but all flasks are manufactured to ASTM E288 Class A specifications. Different neck options are available depending on accessibility needs. Users can also choose a measuring flask with a high contrast red stripe to improve volume and measurement visibility. Amber glass is also available for experiments with light-sensitive media. All bottles come equipped with a stopper – glass, PE, or PTFE. Hirschmann Class A Volumetric Pipettes, or Bulb Pipettes, are certified to meet ASTM E969 standards. 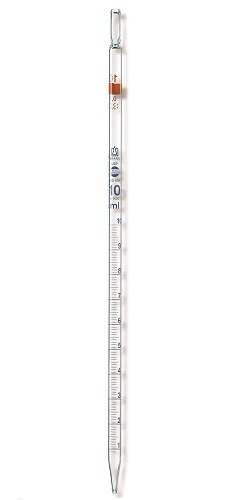 As per specifications, Hirschmann Class A Volumetric Pipettes are constructed with Borosilicate Glass to ensure that they are durable and can be used throughout a wide range of experiments. Hirschmann has color coded their volumetric pipettes so that users can quickly organize and choose whichever size they need. Furthermore, capacity lines and markings are drawn on with fine black enamel to guarantee high visibility and contrast against most lab reagents. If you need any assistance in choosing the right piece of Volumetric Labware for your specific needs or lab, just give our team a call on 1-800-243-3232 or send us an email at info@pipette.com and a member of the Pipette.com team will be happy to talk you through the various options available and help you pick the perfect items for you. If Volumetric Labware is not exactly what you are looking for, the huge variety of products and accessories available here at Pipette.com means that we have the right unit, accessory or disposables to meet whatever specific requirements you have for your lab or facility. 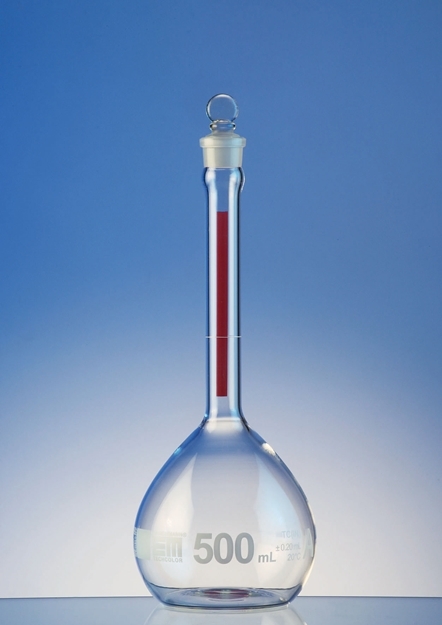 Hirschmann Class A Volumetric Flasks are available in a variety of styles. 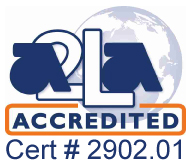 All measuring flasks are constructed to ASTM E288 specifications. Users can select flasks with wide or narrow necks, with a red stripe or without, or an amber bottle if working with light sensitive media. Furthermore, all bottles are equipped with a stopper, options include: glass, PE, or PTFE. Hirschmann Class A Volumetric Pipettes are standardized to ASTM E969 specifications and are constructed to perform even the most difficult tasks in most labs. 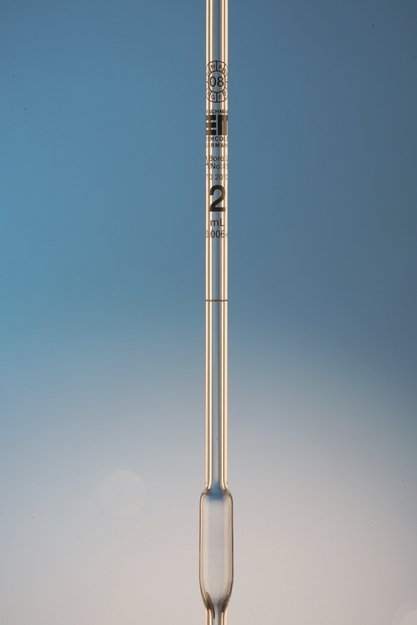 All pipettes are made of borosilicate glass and color coded for user convenience. Volumetric Pipettes are also available with laser printed serial number and certificate of identification and accuracy. Achieve maximum stability (no wobble) and less dripping with a revolutionary design. Globe Scientific Pivot Ring Stir Bars have a central pivot ring that ensures efficient spinning, even on curved or uneven bases. 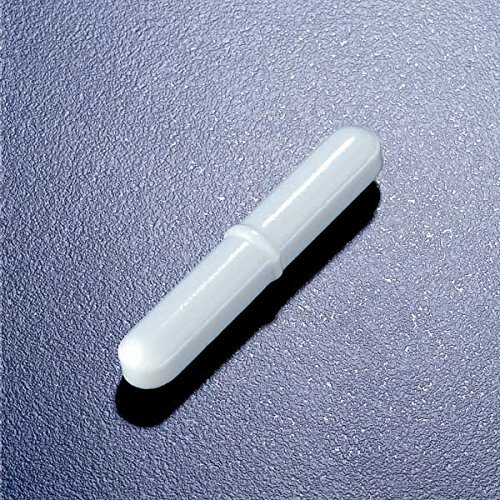 These stir bars are produced from PTFE. 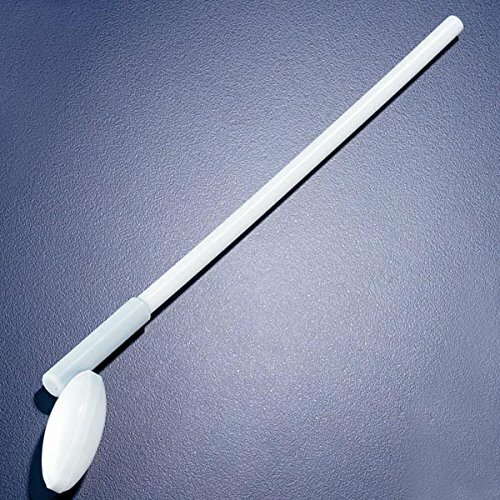 These stir bars are designed to ensures efficient spinning in round bottomed vessels. They are produced from PTFE. 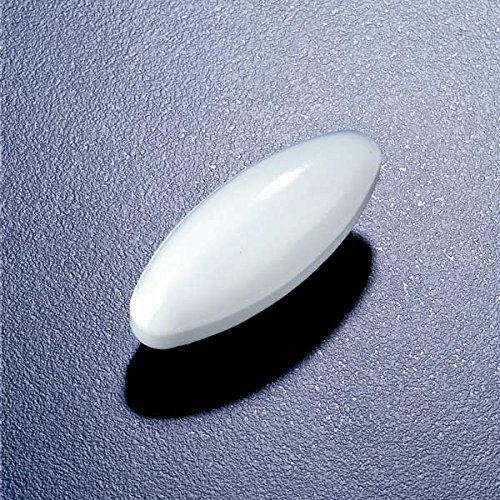 Globe Scientific now offers a comprehensive line of magnetic stir bars for use with a wide range of equipment, chemicals and vessel types. Ideal for stirring liquids on magnetic stirrers and hot plate stirrers. 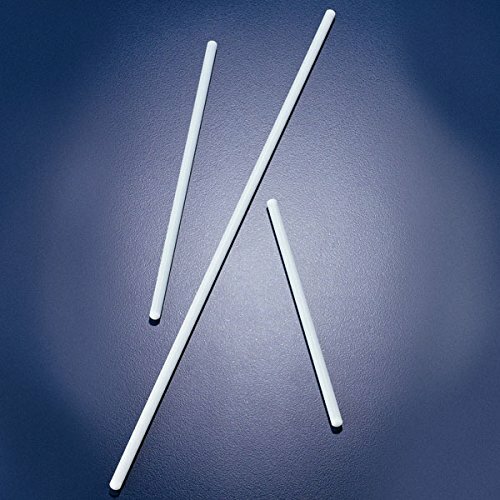 These stir bars are produced from PTFE. Globe Scientific now offers a comprehensive line of magnetic stir bars for use with a wide range of equipment, chemicals and vessel types. Ideal for stirring liquids on magnetic stirrers and hot plate stirrers. Polypropylene beakers (PP Beakers) with three pour spouts, molded graduations, autoclavable, 100 per case. 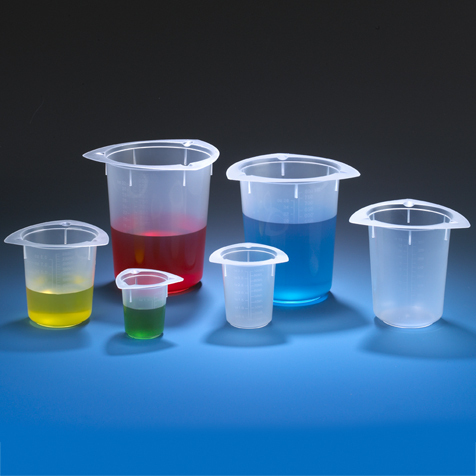 Beaker sizes range from 50mL to 1000mL: 50mL, 100mL, 250mL, 400mL, 800mL, & 1000mL polypropylene beaker sizes.